Don’t take our word for it, here is the official announcement from Feld. When you figure this press releas out, drop us a line and explain it to us. 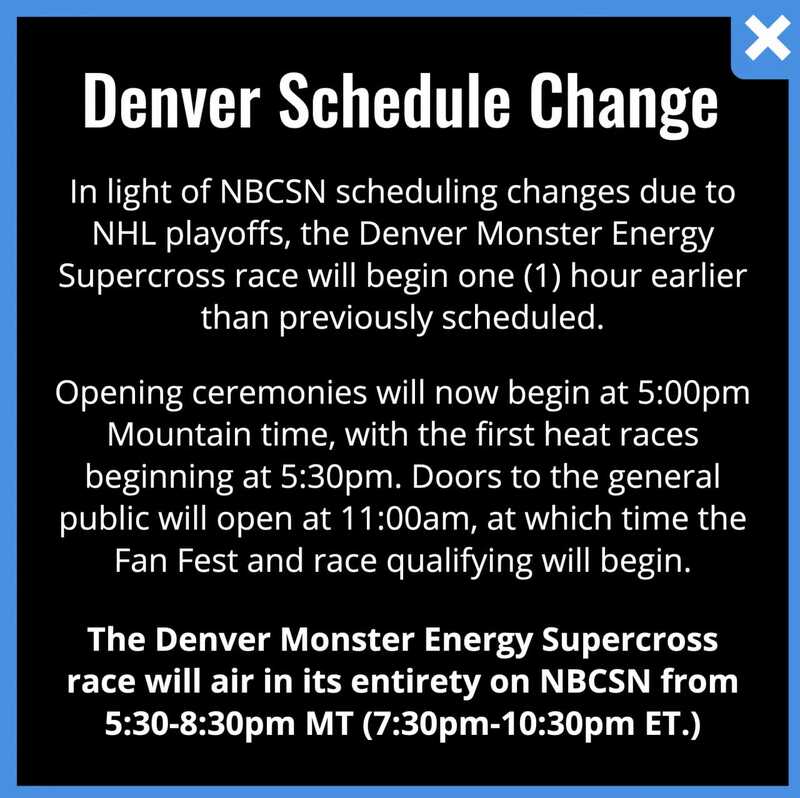 This is the third TV time announced for the Denver Supercross and there is a kicker in the details. 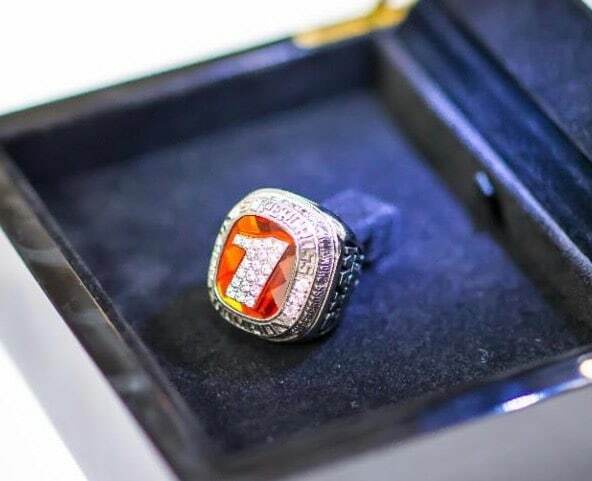 The race will air on NBC Sports Network at 8:00 p.m. (Eastern time) and 5:00 p.m. (Pacific time), but that depends on how fast the horses run in the Arkansas Derby. 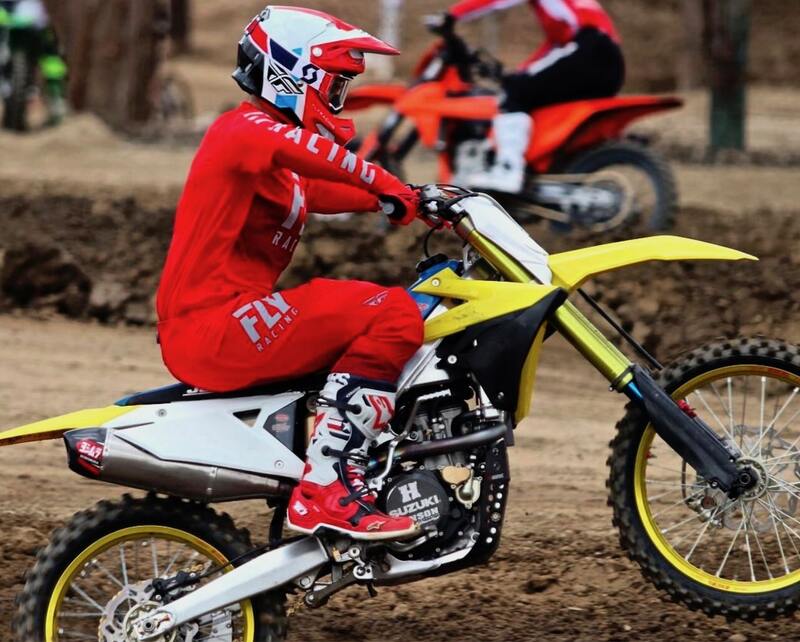 The Denver Supercross will run after the horse race. 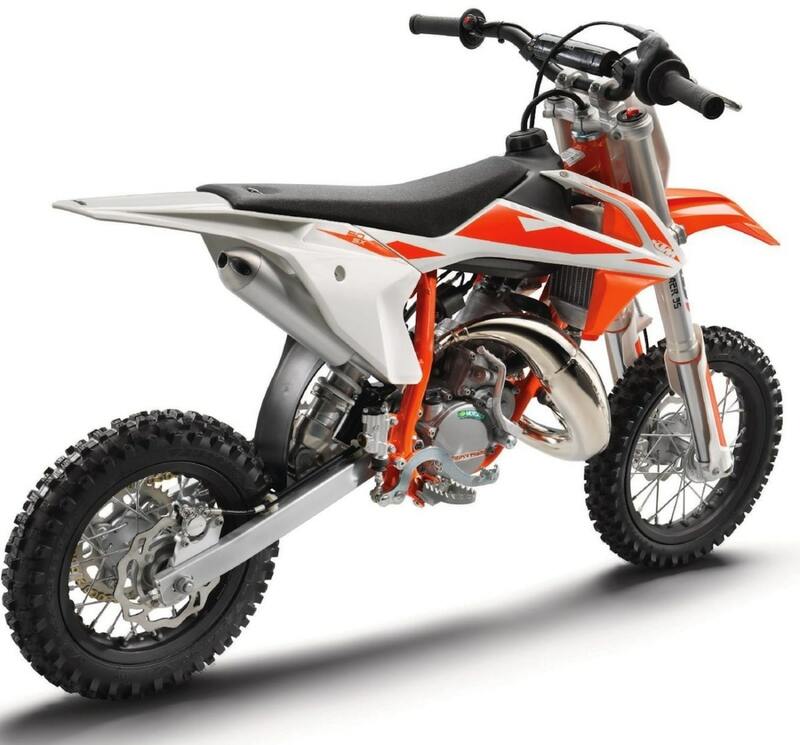 The Consumer Product Safety Commission has issued a recall involving 2019 KTM 50SX and 2019 Husqvarna TC50 Pee-Wees for a sticking throttle assembly. Consumers should immediately stop riding the bikes and contact their authorized KTM or Husqvarna Motorcycles dealer to a quick repair. Other options are to telephone KTM and Husqvarna Motorcycles North America toll-free at (888) 985-6090 from 8:00 a.m. to 5:00 p.m. If you want to learn more go to www.ktm.com/us/ or www.husqvarna-motorcycles.com. Once there, go to the bottom of the website page and click “Service,” then click on “Safety,” then click on “2019,” then click on “MX,” then insert the 17 number VIN (located on the right side of the bike’s steering head) in the “VIN Lookup,” and then click on “Service Information.” It could not be simpler. You can see the full CPSC bulletin by Clicking Here. The 2019 Mugen-Honda E.Rex electric prototype. Note the new electric motor compared to the previous concept bike (below). 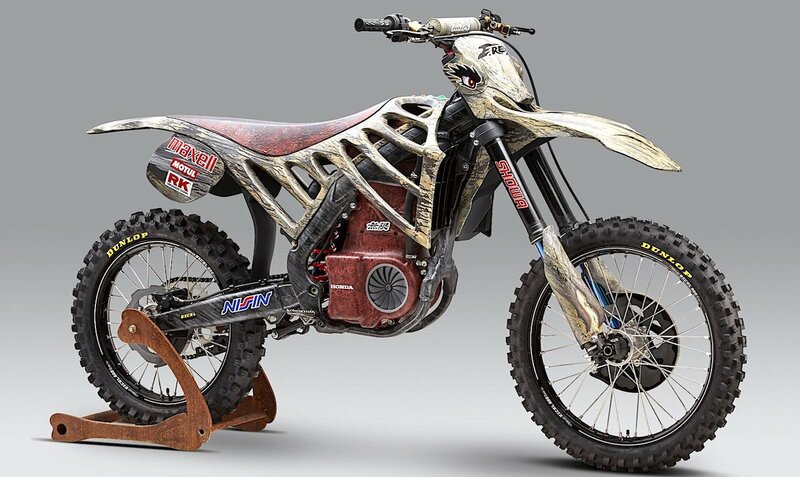 Two years ago Mugen-Honda released a tongue-in-cheek electric motocross bike in a dinosaur motif. No one took it seriously because it was so stupid looking. Now, two years later there is a new Mugen E.Rex. The 2017 dinosaur-theme E-Rex concept bike. 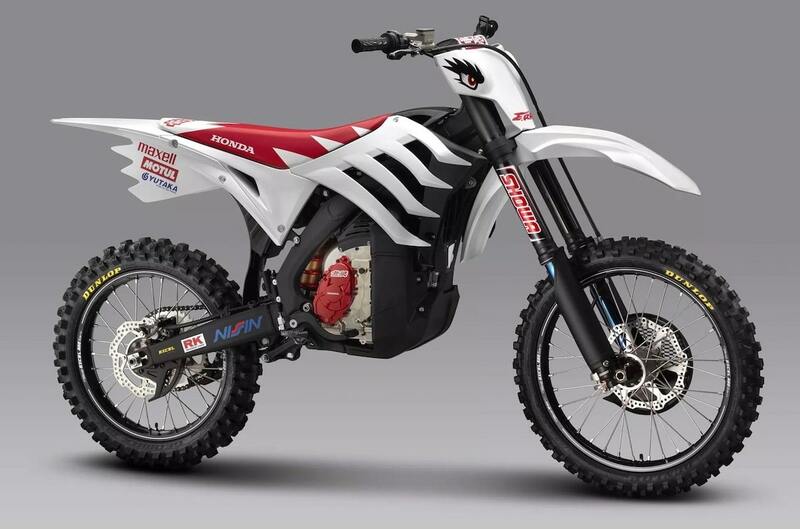 Unlike the dinosaur bike, the new E. Rex uses a version of the electric motor used in their Tokyo Show CRF-E electric bike. Yes, it still has the skeleton ribs, but they have been redesigned to avoid the laughter of their previous Fred Flintstone Replica concept bike. The KTM PowerWear Offroad Collection offers a wide range of helmets, riding gear and accessories. Here are two of their latest KTM specific Bell Moto-9 Flex helmets. Moto-9 Flex features a first-of-its-kind, three-layer impact liner that utilizes multiple densities of material to disperse impact energy and works to reduce rotational energy transfer. Moto-9s flexible, segmented liner achieves an adaptive, more personalized fit for a wider variety of head shapes, and allows us to deliver superior ventilation throughout the helmet. 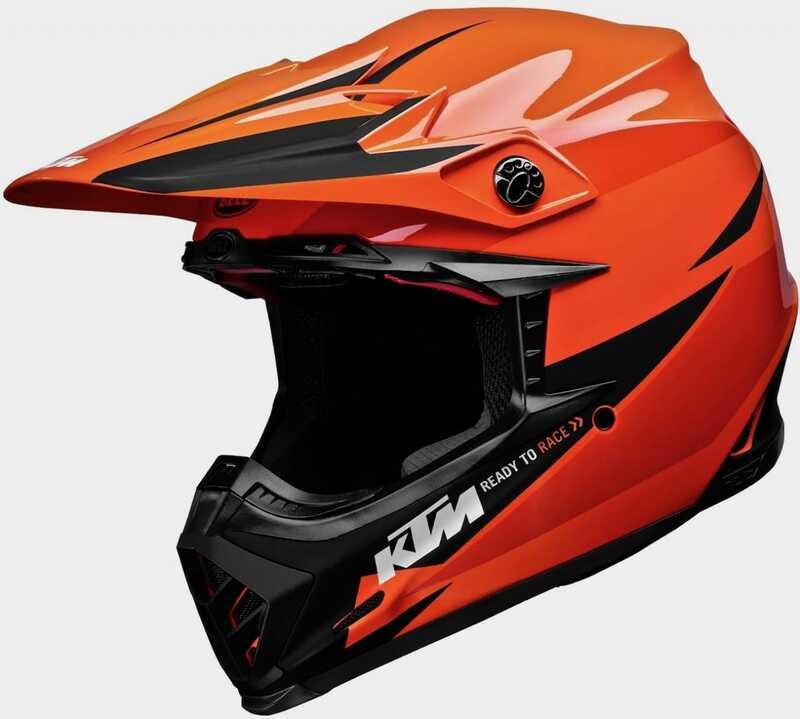 The KTM Power Wear Moto-9 Flex features a lightweight carbon composite shell, Velocity Flow ventilation system for maximum, magnetic cheek pads, Snell M2015 certification and special KTM graphics designs. 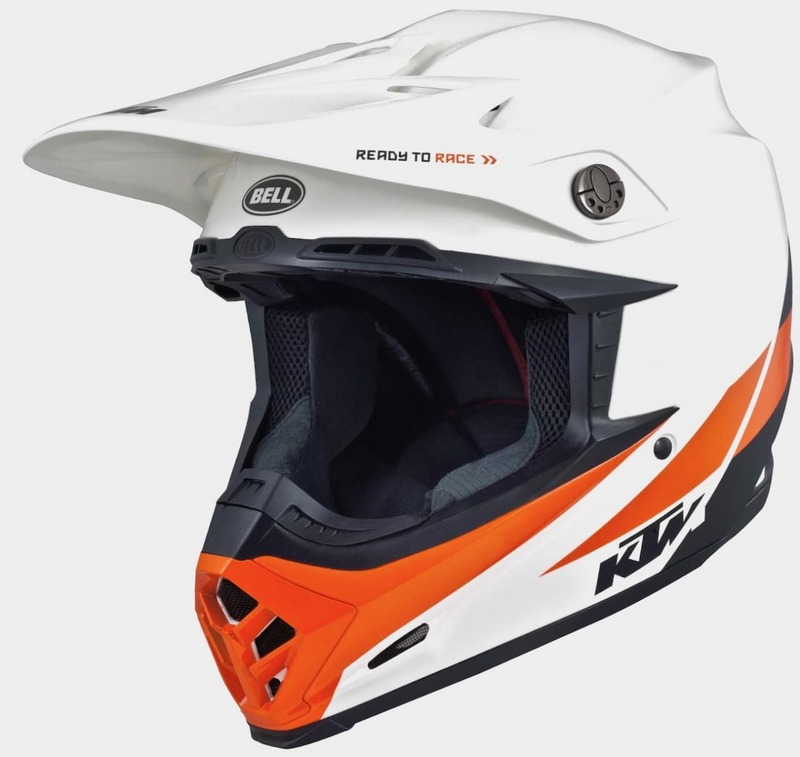 You can order the KTM Power Wear Bell helmets from your local KTM dealer. The 2019 Paris Supercross will be held on November 9-10, 2019, in the Paris La Défense Arena. WHEN WILL JEFFREY HERLINGS RETURN TO THE 450 WORLD CHAMPIONSHIPS? 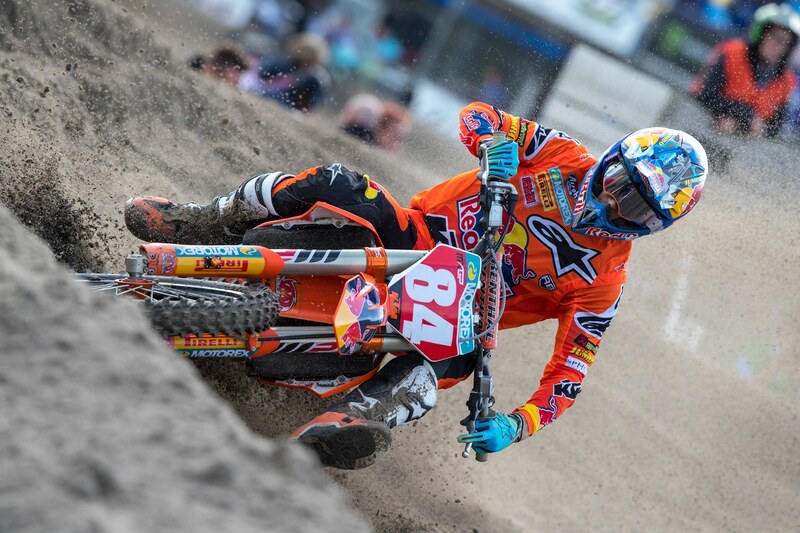 Jeffrey Herlings will come back when he’s good and ready. According to KTM, the soonest Jeffrey could be back in action would be on May 12 at Mantova, Italy. This is really just a target date for Herlings and KTM because it takes advantage of the five weeks off since the last Grand Prix (on April 7 in Trentino, Italy). Every race that Herlings misses costs him up to 50 points to current points leader Tony Cairoli. Cairoli currently has a 191 point lead over pointless Herlings. Imagine if there had been two or three races during what turned out to be a five-week break in the series? Herlings could be over 300 points behind. So, he was lucky to keep Cairoli under 200 points ahead—because last year Jeffrey Herlings won the 2018 FIM 450 World Champion by 157 points over Tony Cairoli and 248 points over third place Clement Desalle. Without getting bogged down in the $100,000 factory win bonus for a Supercross, here how much the riders in the 450 main event actually get paid by the Supercross promoters? Plain wrap didn’t fool anybody—except internet experts. 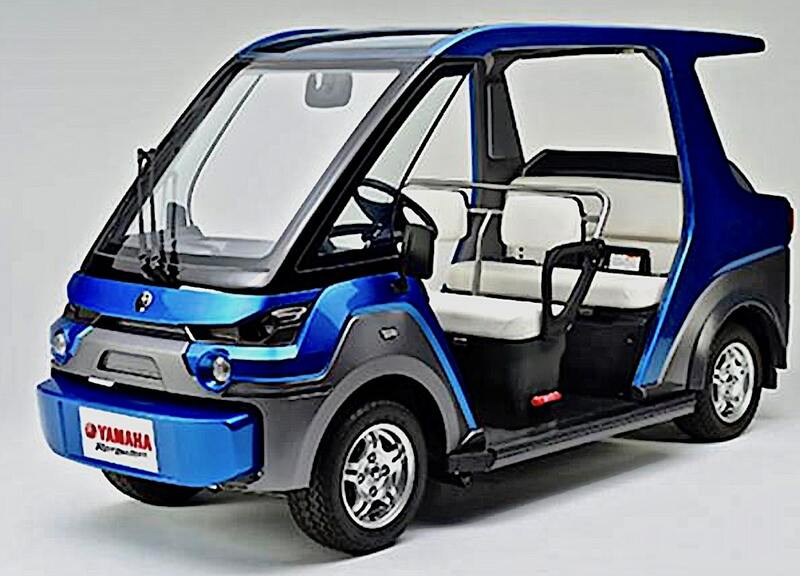 The Yamaha YGM FC Prototype is designed for either ride sharing, vehicle sharing, easy transportation in gated communities or congested areas. Yamaha says that compared to an electric-power vehicle of this type, this fuel-cell prototype has longer range and shorter refueling time. It is kind of a glorified golf cart. Yamaha will start doing public road testing of the YB-M FC next week on a specific route in the Wajima city center course in Wajima City. 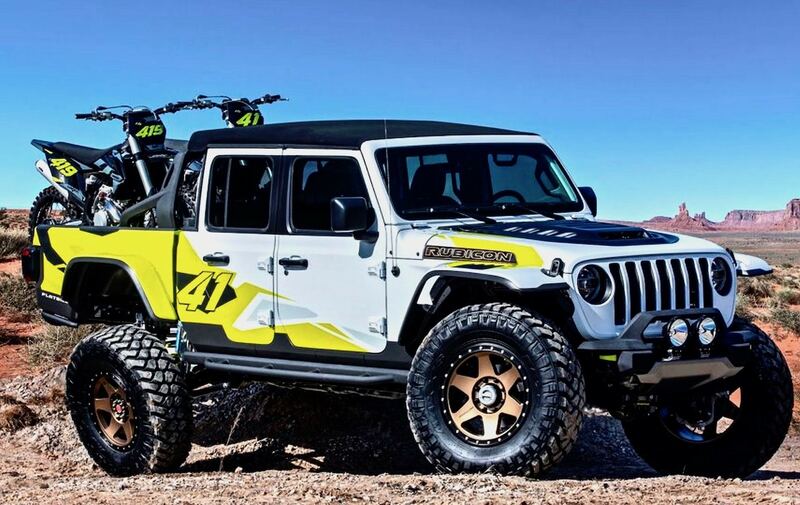 According to Car and Driver: The Jeep Flatbill is based on the Jeep JT Gladiator pickup and was one of six concepts specially made for Jeep’s annual Easter Safari in Moab, Utah. Equipped with Dynatrac ProRock 60 front and rear axles, a four-inch lift, 20-inch wheels and 40-inch tires, the short bed pickup doesn’t come with a tailgate, but ramps that extend out the back to help load up bikes. A tube rear bumper joins custom body work with fender flares, a carbon hood insert and a name that probably won’t appeal to actual Jeep buyers—but Cooper Webb would buy one.